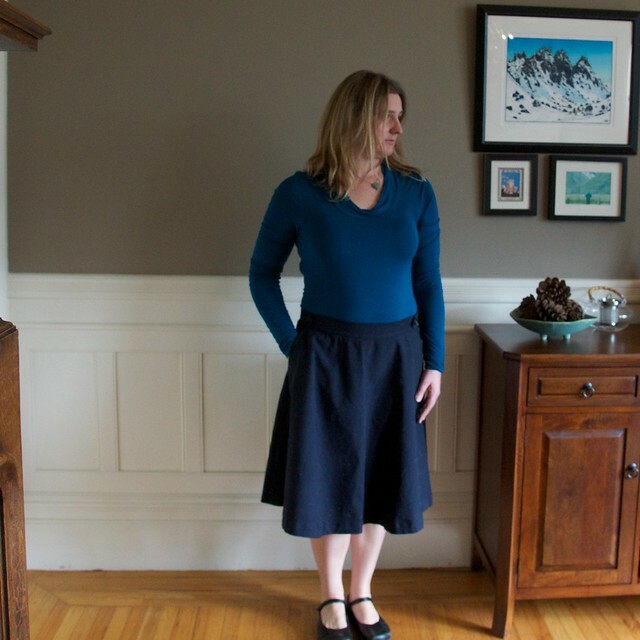 A Hollyburn skirt…and another Renfrew tee! July 31, 2016 December 5, 2017 by Patricia4 Comments on A Hollyburn skirt…and another Renfrew tee! 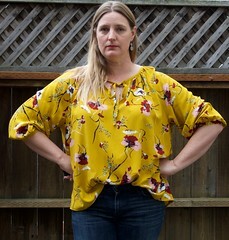 Tasia, the creator of Sewaholic Patterns, recently (ok, semi-recently) passed the Sewaholic torch on to new owners. 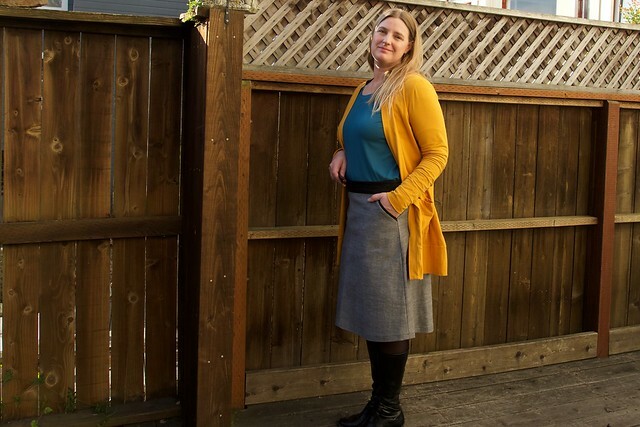 And I just happened to whip up a new Hollyburn skirt and Renfrew tee, so I thought I’d share them here as a way of showing my Sewaholic love and saying thank you to Tasia for her great patterns and tutorials. 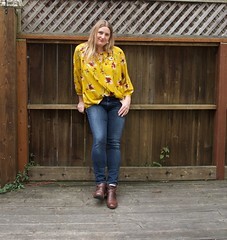 I was inspired by a denim version of Megan Nielson’s Brumby skirt to make this chambray Hollyburn. 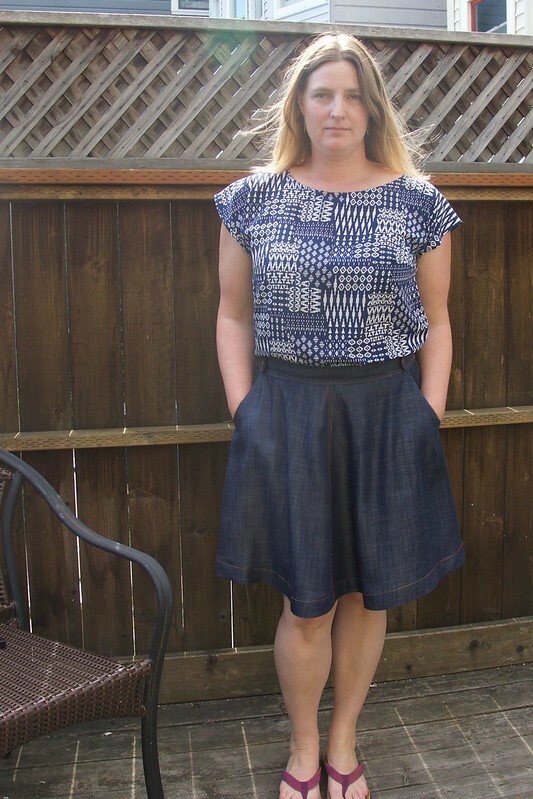 I made the shortest version of the Hollyburn skirt using some indigo chambray in an attempt to make a summery denim(-like) skirt!